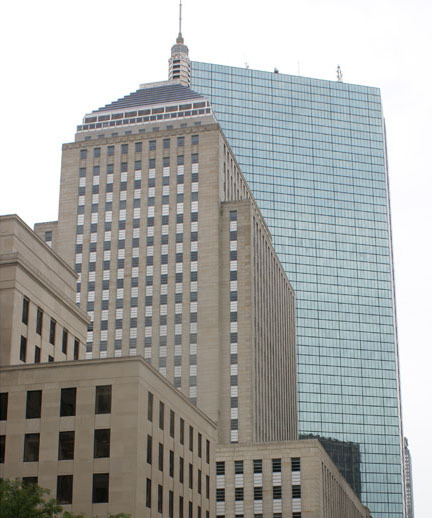 Over a period of 15 years, D. W. Arthur Associates worked with Manulife Financial as they established their U.S. headquarters, grew their Boston operations, and ultimately absorbed John Hancock. Early design work included an elaborate headquarters on the top two floors of 73 Tremont Street, a refurbished historic structure on Beacon Hill. 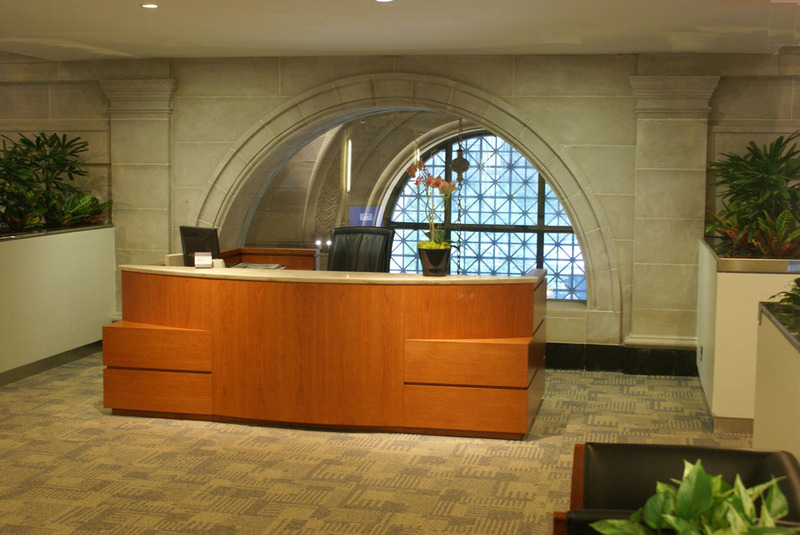 Later work included the reconfiguration of over 1.5 million square feet in 5 buildings in the Back Bay. In 1994, Manulife, the largest Canadian financial and insurance company, established their U.S. headquarters in Boston. D. W. Arthur Associates was invited to design a suite of offices encompassing the top two floors at 73 Tremont Street, a reconstructed historic office building. 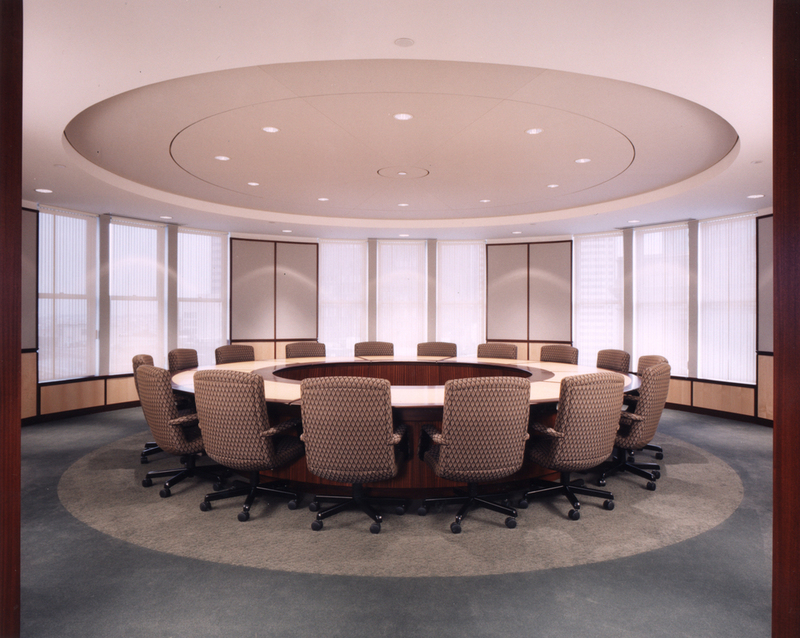 The 48,000 square feet headquarters included a new gallery with an extensive linear skylight leading to a circular, domed board room outfitted with interactive videoconferencing equipment. 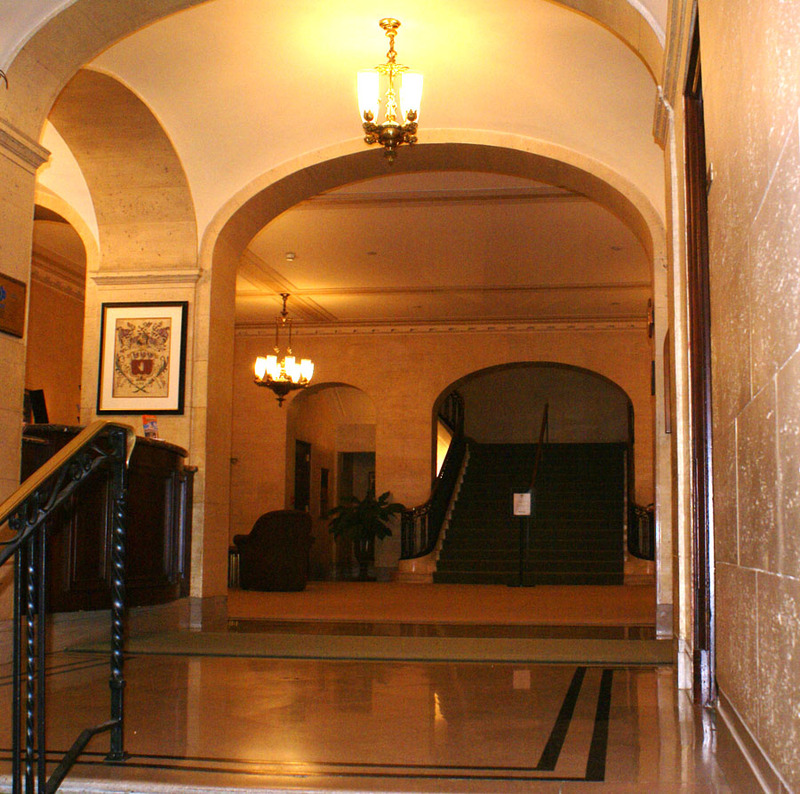 The historicist architectural approach previously employed in the design of the redeveloped base building was a springboard for a complementary and more modern architectural language in the Manulife spaces. For example, the textural richness provided by a variety of highly grained marbles in the building’s main lobby is subtly recalled in the vertical grain striations of the ribbon-striped mahogany wainscot, the “blind” glass screens, linen wallpapers and even the window blind fabrics throughout Manulife’s headquarters. Subsequent to the headquarters project, D. W. Arthur Associates designed numerous expansions within the same building and in other locations in Boston and across the U.S. Ultimately, Manulife merged with and absorbed the John Hancock Life Insurance Company, and D. W. Arthur Associates provided a range of services to assist in the renovation and restructuring of office space in five buildings in the Back Bay complex, including the Berkeley and Clarendon Buildings, and the iconic John Hancock Tower. The services included design for executive offices and tenant suites, feasibility and pricing studies, multiple fast-track phased renovations of office floors, and coordination of complex base building infrastructure and systems upgrades with evolving building ownership teams.